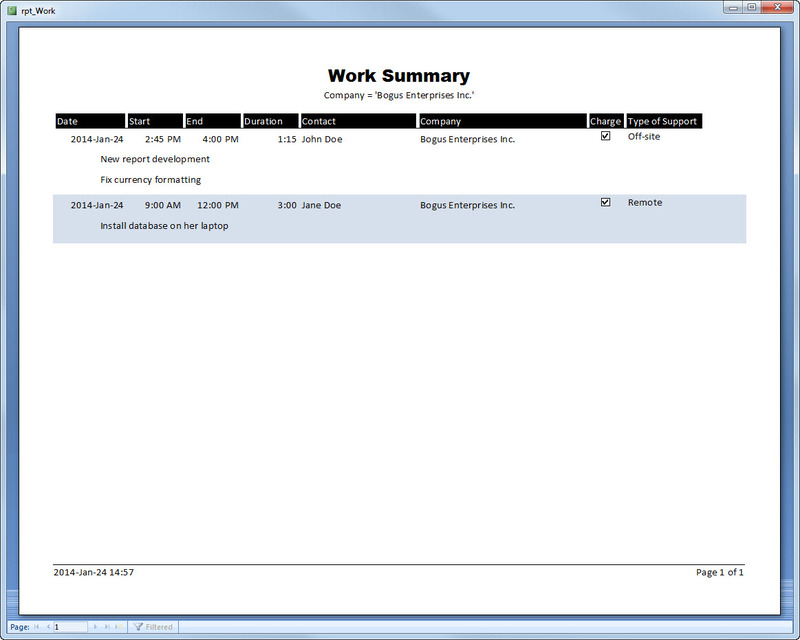 MS Access Work Tracking Log Database – CARDA Consultants Inc. Developed out of personal need, this simple database enables you to track you day-to-day work activities. 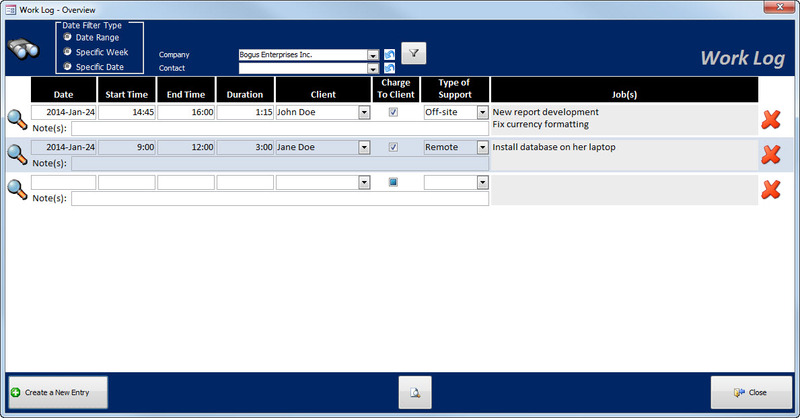 Log tasks, duration, clients, give detailed information and so much more! (Optional as it can be done during normal task entry) You may wish to input a list of your clients and their contacts. Central Database List Administration Panel from which you can edit any and all of the various lists used in the various form.